Tigermonkey Productions is the portal for the creative talents of Jeff Licence. Jeff Licence is highly experienced storyteller, documentary filmmaker, writer and educator with over 25 years experience. 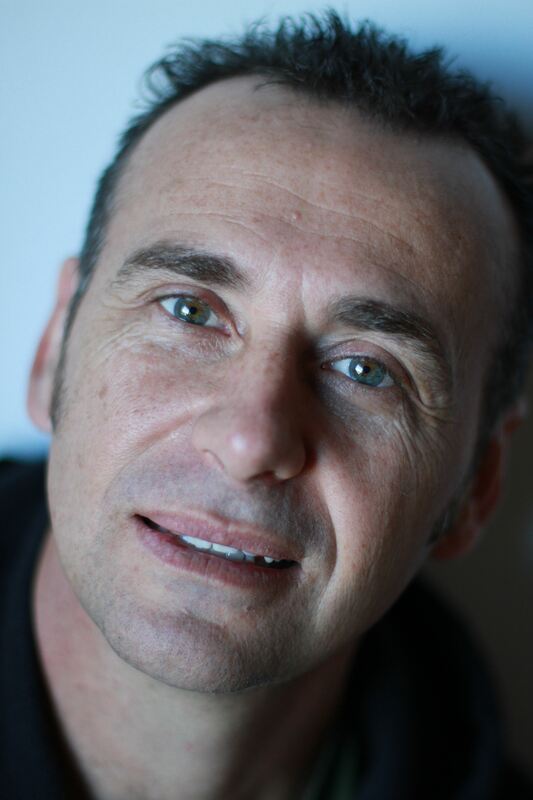 Deeply passionate about the power of storytelling to connect and inspire, his work has been published in a broad range of media including print, audio, photographic, online and film and has appeared on national TV, radio, newspaper and magazine, including ABC radio, online and television. Jeff’s abilities as a ‘master storyteller’ are combined with his exemplary skills as an educator, mentor and coach, having successfully taught thousands of people aged 5 to 85 years to share their stories in interesting and inspiring ways. Jeff’s success as an educator can also be attributed to his warm sense of humour, kind, calm and nurturing manner, broad life experience and quirky imagination. Jeff has a keen understanding of an organisations communication and marketing needs, particularly in the areas of video, social media and online content and enjoys working collaboratively with clients to ensure these needs are being met as they evolve. See how he can help your organisation develop their digital storytelling skills here. In his spare time Jeff loves to surf, bush walk, garden and play with his wife and 2 kids. Recently he’s developed a (healthy) obsession with electric mountain bIkes. Lecturer in documentary and digital storytelling at Bond University and Queensland College of Art. In September 2018, Jeff presented digital storytelling workshops for the Royal Opera House and the Royal College of Art in London. ‘Salt Water Story’ – full length documentary: RADF, Arts Queensland & Australia Council funded. Deputy Chair of the Gold Coast Regional Arts Development Fund committee. Tourism Events Qld preferred supplier for video production and digital storytelling workshops. Ongoing Digital Storytelling presenter and consultant for a variety of clients. Created video, written and audio content for TV, radio and online. Devised and conducted workshops in content creation, writing, photography and video. Developed community engagement projects and mentored novice filmmakers, photographers and writers. Jeff has presented about media and the digital world at the Arts Qld Articulate, ECTA and C&K conferences, at various teacher and parent professional development sessions and has been sought out as an advisor for the US based Common Sense Media website, ABC Radio and the Commonwealth Bank Financial literacy program. Discover more about Jeff’s Digital Storytelling Workshops and Consultancy here. Jeff has shot, edited and produced 3 long form documentaries, several music clips, and a vast variety of videos for organisations and businesses and a range of cultural storytelling projects through indigenous and multicultural groups. Examples of his video work can be seen here. In 2018 Jeff directed, edited and shot ‘The Saltwater Story’. This story followed the recreation of an indigenous canoe journey between the Gold Coast and Stradbroke Island in South East Qld. It premiered in May at HOTA (Gold Coast Arts Centre) where the film received a standing ovation. The documentary has national distribution through Ronin Films and plans are in place for TV broadcast and international distribution. In 2017 Jeff was commissioned by the Qld Performing Arts Centre to produce a series of short documentary videos for QPAC’s Royal Ballet visit. Since 2012, Jeff has completed 3 other long form documentaries that build on his interest in community, culture and place making. These are 4224 – Making Place, a study of community seen through the eyes of the quirky southern Gold Coast village of Tugun, Drawn Here – Architecture of the Gold Coast and Northern Rivers, produced in conjunction with the Australian Institute of Architects and Kicking off the White Shoes. Kicking off the White Shoes celebrates the diversity and vibrancy of the Gold Coast’s creative community. This project was showcased at the Gold Coast Film Festival, Bond and Griffith University screenings and included in the Bleach* Festival 2013 Film Program. Ph: 0432 825 812 or leave a comment including your phone number or email address and we’ll be in touch. Thanks Buck. It was good to meet you too and thanks for the Aunty/Uncle info. Good luck with the Movie maker stuff. You seems pretty savvy with computers so I’m sure you’ll get it really fast. Have fun and see you around.